A married pastor was reportedly having an affair with another woman, and it allegedly resulted in him losing his life. Latoshia Daniels (above) reportedly opened fire on pastor Brodes Perry and his wife Tabitha Perry (below) inside their home earlier this month in Memphis, killing the pastor and injuring his wife. Perry was an executive pastor at Mississippi Boulevard Christian Church in Memphis, TN. "You broke my heart!," the woman allegedly yelled when she pulled out a gun and started shooting inside their apartment. So how did this woman even get inside their apartment to begin with? According to the police report, Daniels unexpectedly popped up at the Perrys' apartment in Collierville. Mrs. Perry let Daniels inside “because she was an acquaintance that the couple knew while they were living in Little Rock, Arkansas,” according to reports. Pastor Perry previously worked at St. Mark Baptist in Little Rock, Arkansas, where Daniels is from. Daniels and Mrs. Perry reportedly spoke for about 30 minutes before Pastor Perry showed up at the apartment. It's said the three of them spoke for about 10 minutes before Daniels said it was "getting late" and began to leave. As the couple walked Daniels to the door, she pulled out a gun and started shooting while screaming, "You broke my heart!" She shot Pastor Perry several times and then turned the gun on his wife. After her arrest, Daniels reportedly caused another scene at the hospital where she was taken, physically assaulting the police officers and booking it down the ER hallway. Police reports go on to say responding officers found Daniels still armed with the gun and refusing to put it down. They say an officer fired a round from “a less lethal shotgun,” causing her to fall and drop the gun. They then took her into custody. Police say they took Daniels to the hospital, and when she was being discharged as officers tried to cuff her, she jerked away and shoved the officer, then ran down the ER hall. Investigators say that officer and another officer eventually were able to take her down, and say she grabbed one of the officer’s shirts and began swinging. Police say she hit one of the officers, but they were eventually able to get her cuffed and in custody. 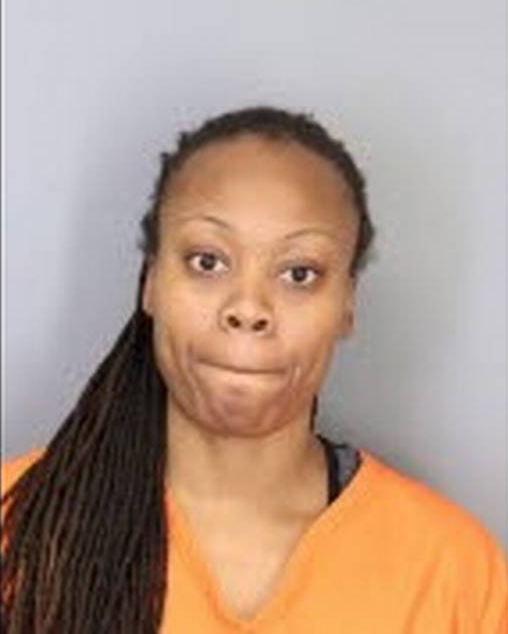 Latoshia Daniels - who reportedly works as a social worker and anger management specialist (the irony) - was arrested on April 4th in connection to the pastor's murder. She has been charged with first-degree murder, attempted first-degree murder for shooting his wife, employment of a firearm during commission of a dangerous felony, assault on an officer, escape, and resisting arrest. Daniels has pleaded not guilty to first-degree murder. She is expected to appear in Collierville court on April 23rd. "I don't have a lot to tell you other than we've entered a not guilty plea. We mean it. There's a lot to do for Ms. Daniels between the beginning of the case and the end. We are at the very beginning," Daniels' attorney, Leslie Ballin, said. Very sad and tragic situation for all parties involved.